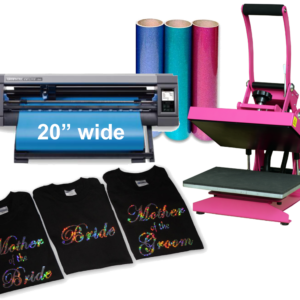 Superior quality, high reliability, entry-level cutting plotter for small-to-medium production runs for heat transfer vinyl, decals, signage, and more! The new Graphtec CE-Lite 50 20” vinyl cutter is now available! 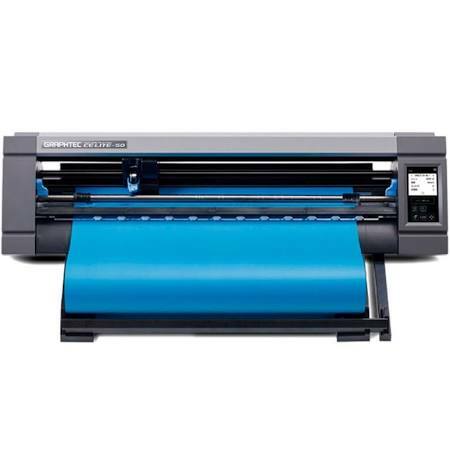 This is a step up in capacity and advanced cutting features from the Silhouette Cameo, with a touch-screen easy interface, the ability to cut 20” rolls of heat transfer vinyl, and completely automated contour-cutting of printed labels and stickers, with ARMS 7.0 and even cropmark-free cutting and barcode reading. 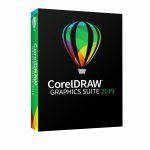 Also ships with $2100 of free design software! $2,100.00 value in free software included! The edge of the media aligns with the position of the contour cut lineto the printed image without registration marks (fixed size). The max. 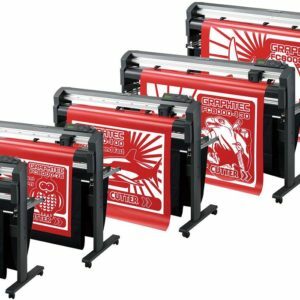 cutting area can be utilized regardless of color or shading of the media because registration marks do not need to be printed. Max. guaranteed cutting width 20 in. 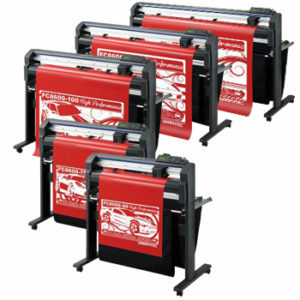 Continuously cut roll media designs up to 9 ft 10 in (3m) long using the included roll media stocker. Saved cut-data on USB memory, USB offline bar coding automatically loads file, sets tool conditions, and processes the job at the push of a button – without requiring a PC connection. Start cutting immediately with enhanced software.